Usually during the first week of my Whole30s, I am SUPER tired, and the first few days I’m hungry between meals. It’s interesting how all of it levels out after that first week, just one more reason why I am constantly AMAZED at what our bodies can do and how adaptable they are, but that first week is a little rough. One easy snack or meal I like to make especially that first week is this chicken salad. It is great to keep in the fridge to just grab a few bites if you are hungry or for a quick lunch. I top it on a bed of spinach usually with a side of plantain chips (fresh or store bought) and salsa! 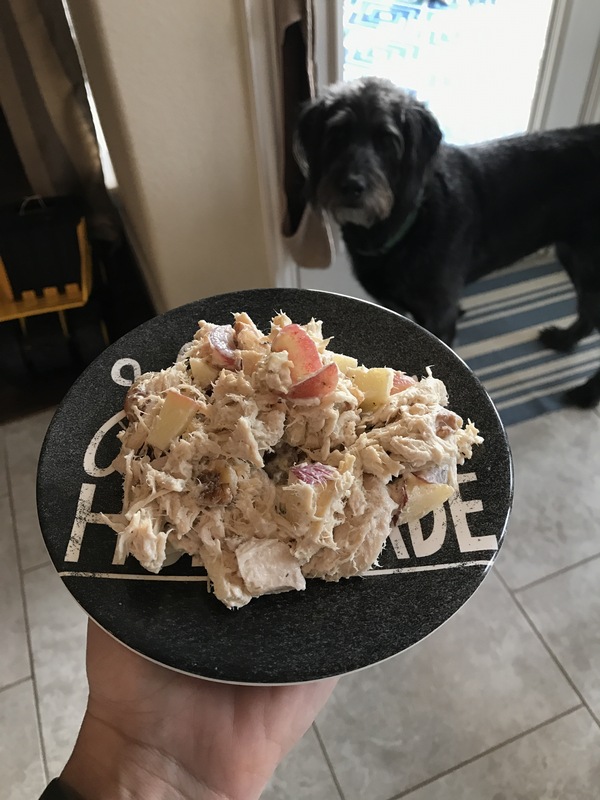 I’m kind of picky when it comes to chicken salad, it seems like everyone kind of has their own recipe about what they like in it, so I just thought I would share mine. It’s pretty simple and straight forward so I hope you enjoy it! Once chicken is cooked, remove from crock pot and shred in a large bowl. I usually just use forks to shred it because I like mine to be kind of chunkier, but if you are looking for a fast way to shred chicken, try tossing it in your stand mixer and turn it on for a few seconds! 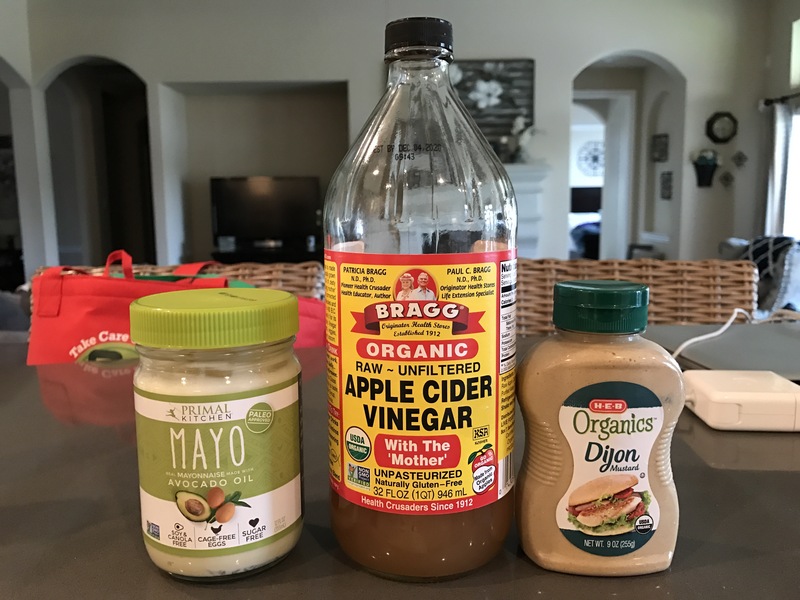 So this is another one of my “just dump the ingredients in the bowl and taste it as you go” kind of things… so at this point add the mayo, dijon mustard, salt and pepper, apple cider vinegar, grapes, apples and walnuts. Stir everything up and you’re done! I thought I would put my dog in this pic because she’s cute and I’m pretty sure this is the most unappetizing food I could take a picture of for y’all at this point haha… She’s always wishing she could gobble it up anyway! So the cool thing about chicken salad is that if you don’t like what one person puts in their recipe, you can easily substitute something for another food to make it your own. I found this “make your own recipe” outline at some point on someone’s blog or maybe the Whole30 Instagram feed, I can’t remember at this point… but I thought I would share it in case you want to change this up a bit to accommodate your own personal tastes. 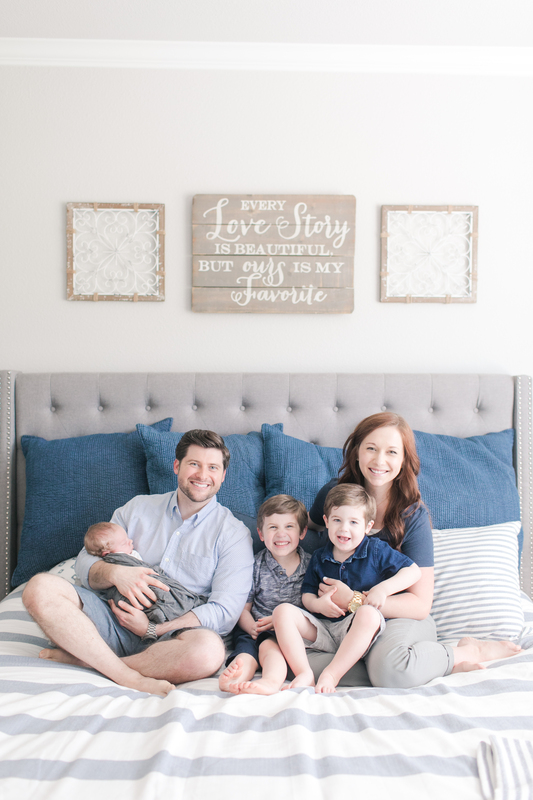 I would love to hear if anyone has any other additions that they love! Thanks for stopping by, hope you enjoy this!